France looked set to get their 2019 Six Nations campaign off to the perfect start last night in Paris, before a comedy of errors gifted Wales a massive away win. Les Blues scored two first-half tries with captain Louis Picamoles and winger Yoann Huget both crossing the whitewash, before Camille Lopez grabbed a drop goal to give the French at 16-0 lead at half-time. 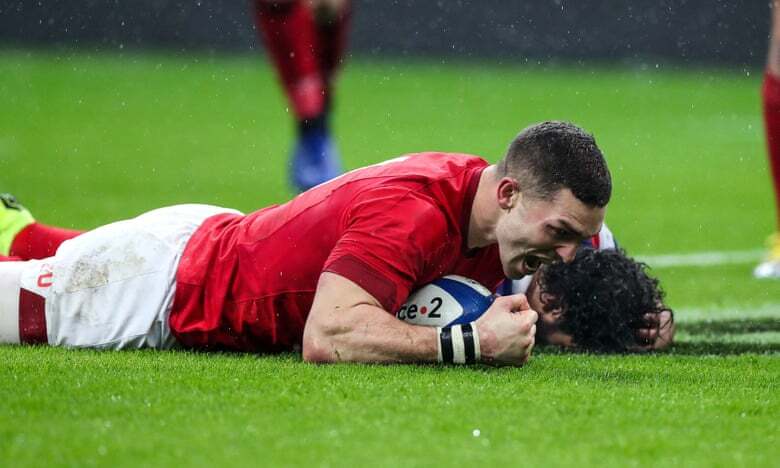 But Wales fought back in the second-half, with scrumhalf Tomos Williams scoring an excellent try just six minutes in, before France decided it was time to absolutely bottle it like only a French team could. The French winger spills it in front of his line and George North swoops in! Huget was first up, going from hero to villain in seconds after he spilled the ball following a pretty straightforward kick in behind by Wales centre Hadleigh Parkes. George North was on hand to take advantage of his mistake to score Wales’ second try. Not long after North was on hand again to take advantage of another absolutely shocking error. With France once again leading thanks to a penalty from Lopez, lock Sébastien Vahaamahina threw a ridiculously loose pass that North took full advantage of. Absolute madness and as French as it gets. You CANNOT give George North an opportunity like that!